These brackets are cnc machined out of 1/4" aluminum and then powder coated black. They mount on the cover valve using four stainless steel standoffs.. All hardware is stainless steel and machined aluminum standoffs. Very sharplooking setup! 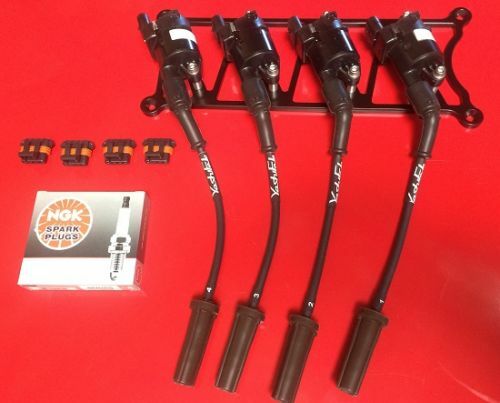 You can add a set of our plug wires, AC delco d514a coils, ls coil connectors, and NGK plugs with the options menu.